Learning to bake gluten-free can be a bit tricky. It was a bit of a challenge to find the right gluten-free flour to meet our needs. Many of the brands I came across have "May Contain" statements listing tree nuts, soy, or milk. These are off limits for us, so I kept searching. I found recipes to make your own gluten-free flour blend, but all the components I needed were also "Processed With" these same ingredients. I had given up. But every time I see a product I haven't seen before, I turn it over and read the label. 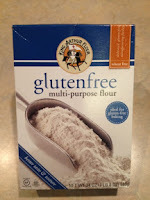 One day I came across King Arthur Flour Gluten Free Multi-purpose Flour. I turned the box over and discovered it is not "Made in a Facility With" anything. Hooray! I could bake again! 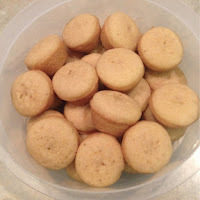 I set to work in my kitchen and have made several yummy treats with this flour. 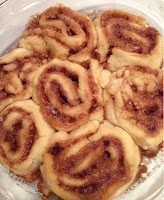 Cinnamon Rolls, Mini Pancake Muffins, Pizza Puffs, cupcakes, cookies, gravy, and more. 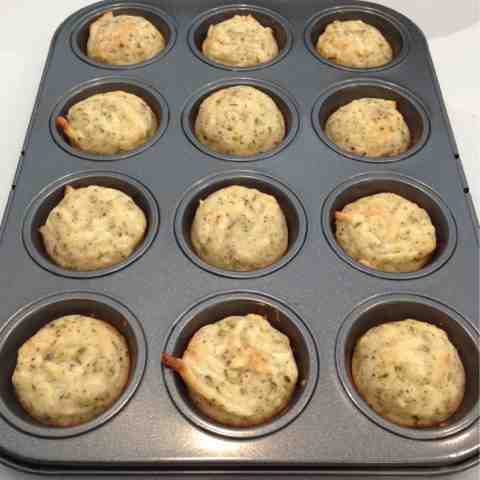 You can make just about any recipe that calls for wheat flour with King Arthur Flour Gluten Free Multi-Purpose Flour, replacing the flour cup for cup. You will want to add the appropriate amount of xanthan gum or guar gum to thicken your dough and trap air bubbles to make your product light and fluffy. (This is what gluten does in wheat flour, so you need to substitute the gluten with xanthan gum or guar gum). If you are in the market for a gluten-free flour to meet all your baking needs, King Arthur Flour Gluten Free Multi-Purpose Flour is the way to go! I would love to read your recipes and hear about your experiences with this flour.